On this day 84 years ago a team of law enforcement officers led by the Bureau of Investigation (back before they were known as the FBI) killed Clyde Barrow and Bonnie Park in an ambush near Sailes, Bienville Parish, Louisiana. Before dawn on May 23, 1934, a posse composed of police officers from Louisiana and Texas, including Texas Ranger Frank Hamer, concealed themselves in bushes along the highway near Sailes, Louisiana. 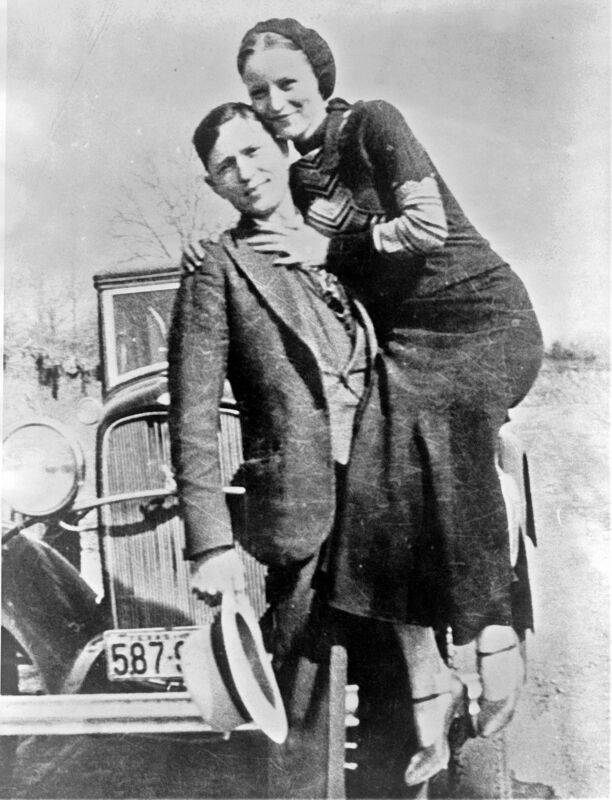 In the early daylight, Bonnie and Clyde appeared in an automobile and when they attempted to drive away, the officers opened fire. Bonnie and Clyde were killed instantly. And thus ended the bloody career of the armed and dangerous couple known as Bonnie & Clyde. At least until they were reborn as Hollywood legends in the 1960s. At the time they were killed in 1934, they were believed to have committed 13 murders and several robberies and burglaries. Barrow, for example, was suspected of murdering two police officers at Joplin, Missouri and kidnapping a man and a woman in rural Louisiana. He released them near Waldo, Texas. Numerous sightings followed, linking this pair with bank robberies and automobile thefts. Clyde allegedly murdered a man at Hillsboro, Texas; committed robberies at Lufkin and Dallas, Texas; murdered one sheriff and wounded another at Stringtown, Oklahoma; kidnaped a deputy at Carlsbad, New Mexico; stole an automobile at Victoria, Texas; attempted to murder a deputy at Wharton, Texas; committed murder and robbery at Abilene and Sherman, Texas; committed murder at Dallas, Texas; abducted a sheriff and the chief of police at Wellington, Texas; and committed murder at Joplin and Columbia, Missouri. But like I said, Bonnie & Clyde staged a spectacular comeback in 1967. Filmmaker Arthur Penn directed Bonnie & Clyde, starring Faye Dunaway and Warren Beatty. It became a box office smash. There were questions about the movie's historical accuracy and controversy over what some saw as a glamorization of criminals. But soon after it's release, everyone knew who Bonnie and Clyde were. Besides the movie, several musicians jumped on the Bonnie & Clyde bandwagon in 1967 and 1968. Here are some of them. Georgie Fame & The Blue Flames had a big hit with "The Ballad of Bonnie & Clyde." Merle Haggard wrote and performed "The Legend of Bonnie & Clyde." Even Mel Torme couldn't resist. His song is called "A Day in the Life of Bonnie & Clyde." Meanwhile, French pop star Serge Gainsbourg teamed up with the one and only Brigitte Bardot (!!!) on a song called "Bonnie & Clyde." 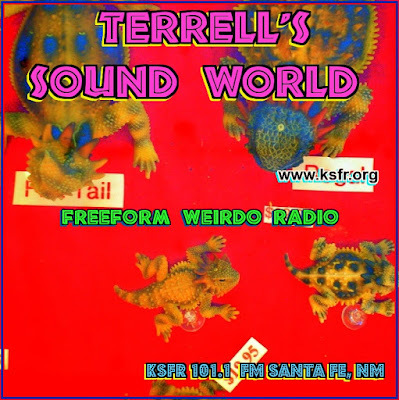 This tune borrows heavily from the poem Bonnie Parker wrote about her exploits with Barrow. Whoa! What Happened to April?